Twitter has become an indispensable marketing tool for many brands. Although the social networking site’s 140-character limit is particularly a challenge for many marketers, especially in terms of delivering their message to potential customers, the number of users that the site boasts cannot be simply overlooked. That is, the more followers a brand has on Twitter, the higher the chances of connecting with a base that has potentials to be converted into customers. Hence, if you are using Twitter to blast out your brand to the world, the first important step that you need to take is to build the number of your followers. Of course, increasing your Twitter following is no easy feat, especially now that more and more business similar to yours are competing for consumers’ attention over at Twitter. However, with some tweaks on your Twitter marketing tactics and a bit of patience on the side, it is possible for you to attract more Twitter followers for your brand. Below are some tips to get you started. Even if tweets are set to have a maximum of 140 characters that does not mean that you should use all 140 characters when blasting your message. As a rule of thumb, your tweet should be long enough to cover the topic, but short enough to grab the attention of readers. Hence, avoid cryptic content and focus on creating short tweets that will deliver the message you wish to disseminate to your audience. If you are to include links to photos or articles, make sure that you provide sufficient amount of information that will let your followers know your main point. Since you are marketing your brand on Twitter, it is essential that you craft a headline bait that others cannot resist to bite into. If your tweet is complete, readers will not be compelled to click through to your content to discover more information. Therefore, learn to play on words and create twists that will entice users to want to read more. If you want to encourage others to follow you, provide them with relevant information. It has been shown that more and more users of social media are using the sites to gather information. Hence, it pays to tweet not only about your brand, but the latest information about your industry in general. In order to show how deeply involved you are in your topic, you should incorporate the right hashtags. Avoid using random words. Instead, do some research so that you will be able to hit the right audience. Also, limit you Twitter handles as too many of them can obstruct the real value of your message. 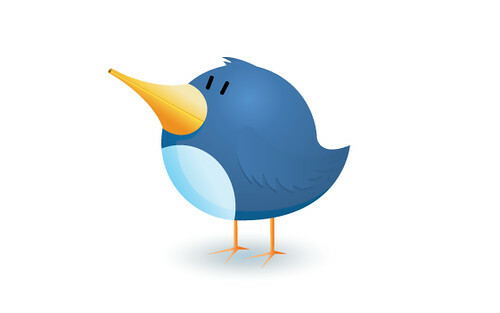 One of the most effective ways to build your Twitter following is to follow people who tweet or retweet your content. The mere fact that they are sharing your content is a clear indication that they are interested with what you have to say. However, make sure that their interest are aligned with yours before hitting the follow button so that you will be able to get the same response from them. When you follow people and they followed you back, a good way to further strengthen your connection is to retweet their tweets. Almost everyone on Twitter wants some recognition, so if you retweet something related to your topic, there’s a strong chance that others will return the favor. A great way to manage your social media accounts and see all the important details is to use software such as Hootsuite. Sign up for a Free 30 Day Trial of HootSuite Pro. If you are in business then this is a must have service. It is not enough that you just post a message on Twitter. Engagement is an important factor that can greatly help in increasing your Twitter followers. Take the time to respond to comments and ask questions as well. You should also participate in Twitter chats to exchange ideas with like minded people. If a Twitter chat about your subject is not available, then consider making one. Doing these things will show how interested you are to connect with other people. If you maintain a website or a blog for your brand, make sure that you create content that other people will be able to tweet or retweet about. Also, try integrating social media buttons on your site so that it will be easier for others to share your content. RFK Print Solutions www.rfkprintsolutions.comis an online shop that offers premium quality litho printing services and a full range of printing products. The content above was contributed by one of the company’s writers. Your post Mitz is very informative. I use twitter also to improve my brand and its way effective. @Adam: I agree that twitter is better in SEO than facebook. I don’t have supporting articles for that but i had tried that already. Hi Mitz, i want to ask you some question about seo, some people said that we must use twitter in seo because Twitter is effectting seo very much rather than facebook.. can you validate this rumours? I think Twitter is fantastic for SEO and traffic! But I also think Facebook is good too! I guess it depends on which one you put more effort into? What is ActiveX Controls? How to Deal With Them?